A big thank you to Ellen Longworth and Mia West who went along on Friday evening to sing for Malton senior citizens evening, hosted by Malton Lions at the Rugby Club. After a meal, raffle and bingo, Ellen & Mia introduced themselves and managed to get a plug in for RYT 'Beauty and the Beast', as Ellen is playing the role of Belle and Mia is playing Mrs. Potts. Thanks to Mr. Martin for help with Backing tracks and Miss Angela as ' sound technician' and chauffeur! 29th January 2017 - What is the link between The Royal Ballet and An American in Paris? 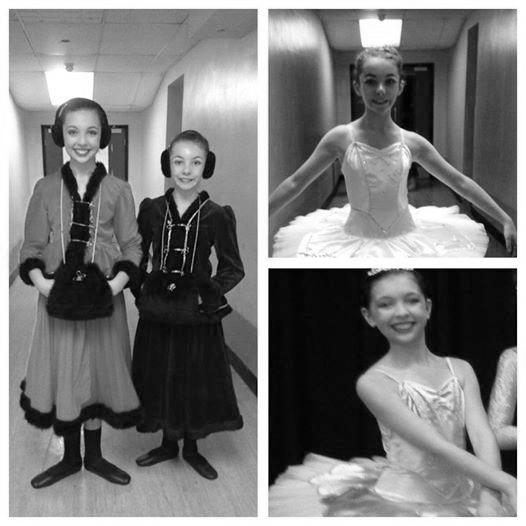 The first photo is of Leanne Cope and Samantha Raine as sisters to Alice (Sarah Lamb) in The Royal Ballets 'Alice in Wonderland', before Sam retired from dancing to become Ballet Mistress to the company and Leanne was plucked out of the Corps de Ballet to star in 'An American in Paris' on Broadway. 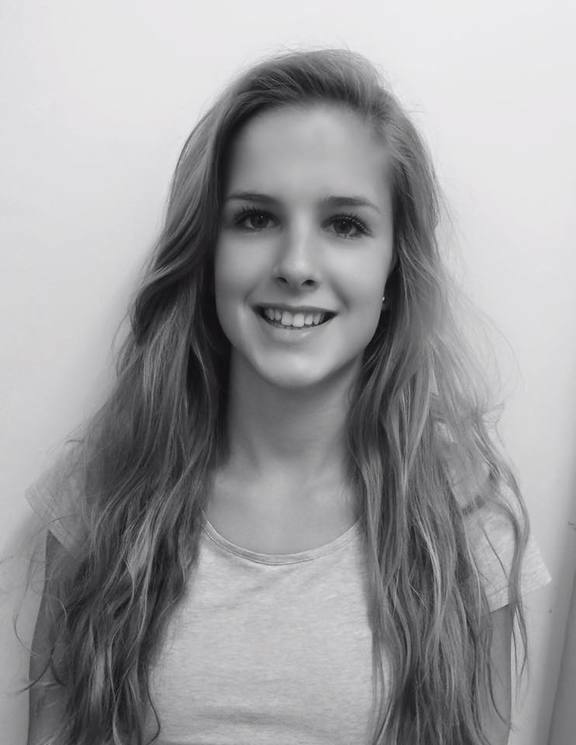 In 2017 Leanne revises her role in the London production. 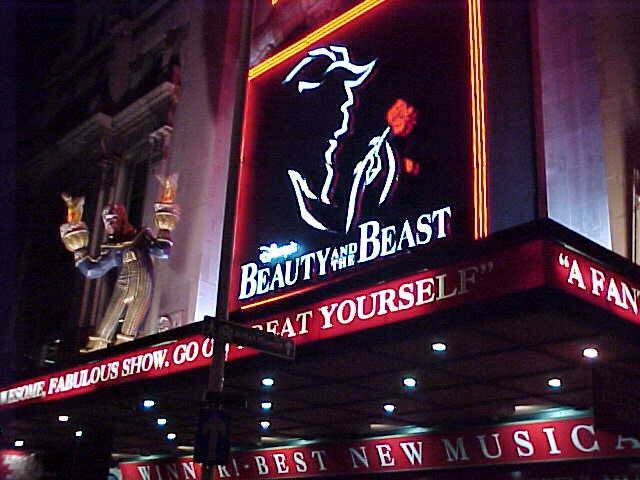 Meanwhile Samantha's sister Pippa Raine, both former KH pupils, returns to the Dominion Theatre 20 years after her first West End show 'Beauty and the Beast' as a Silly girl. In the years in between Pip has appeared in numerous musicals, one of Miss Angela's favourites was when she played the leading Lady ( of the lake) in 'Spamalot' at The Palace Theatre, Shaftesbury Ave. Other musicals Pip has been in - Mary Poppins, Joseph, Crazy For You, West Side Story, Hot Stuff, Pyjama Game, 42nd Street, Fosse, Singin' in the Rain, Sinatra at the London Palladium and many more. What a fabulous evening at our senior drama showcase. Amazing acting from all involved. Thanks to Miss Audrie for all her hard work in preparing everyone to excel and give such a professional performance. 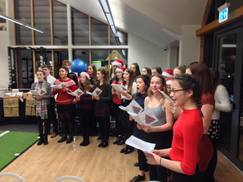 Thanks also to our friends and families who came along and to our Mums for providing the mulled wine and mince pies. Finally to a wonderful bunch of young people for your time and commitment both on stage and off. 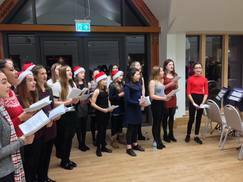 Huge thanks to each one of our singers who performed at Jack Berry House. 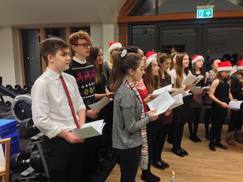 The varied programme of Christmas and Musical Theatre items was genuinely appreciated by an attentive audience. Indeed you all sounded most impressive and everyone really enjoyed the occasion. 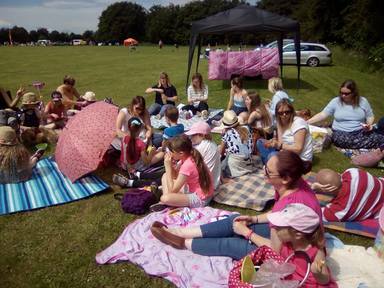 Thanks also to parents and carers for your help and support. 5th November - Our Bright Young Star! Great News! Congratulations to Miss Chloe on winning "The Bright Young Star" Award at the Pride of Malton and Norton Awards last night! 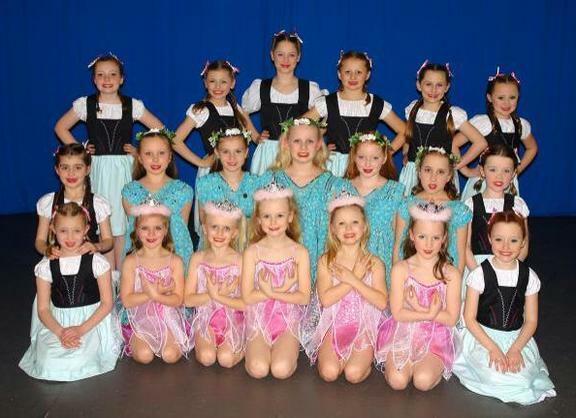 To date Miss Chloe has raised £17000 for Cancer charities! Amazing! Well done! We are all very proud of her! Just a few words to let you know how I'm getting on! We've just finished our 2 week setup period of rehearsals on the ship, so now can start enjoying the ship and seeing these amazing places! We've just had our first day off in Malta, which was beautiful and we're on our way to Turkey! We then go to the canaries over Christmas and have a grand voyage in January to south America which will be amazing! The shows are amazing and it's such a great feeling to be performing in them and doing what you love! I feel so lucky to be able to do this, it's such an incredible opportunity and I'm loving it! 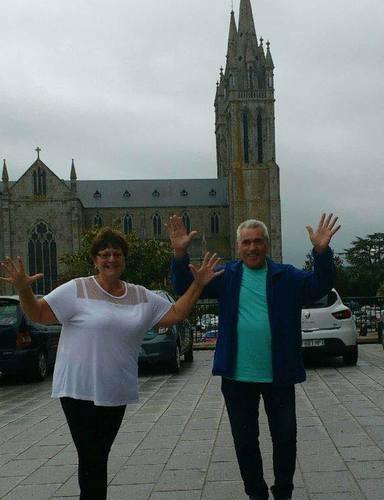 Here it is, what we've all been waiting for- The winners of our Jazz hands summer fun. 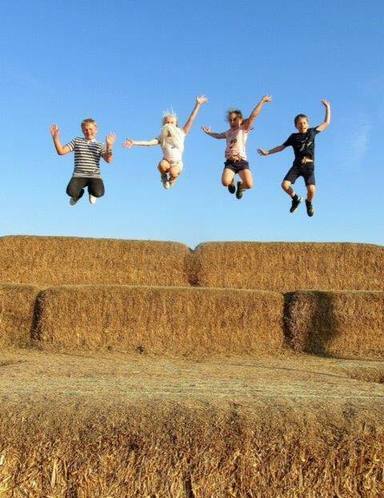 1st place goes to Joseph and Lola Weatherill with Emily and Christopher Gibbons. 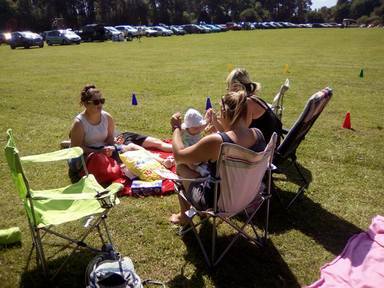 Congratulations to their Mums! 2nd place goes to Auntie Von and Uncle Piddy !! ( not sure of photographer!) Thanks to everyone who joined in the fun and to those who voted. Saturday 1st October - "Double Celebration!" If you weren't there you missed out on a great night folks. 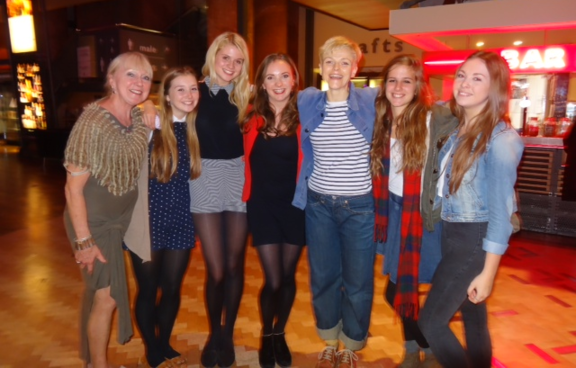 Ryedale youth theatre Queens Award celebration. What a great night. Miss Barbara thanked everyone and Auntie Barbara announced our 2017 show as Disney's BEAUTY AND THE BEAST..
Today's the day, yes it's finally arrived when Ryedale Youth Theatre receive the Queens award for volunteer groups. 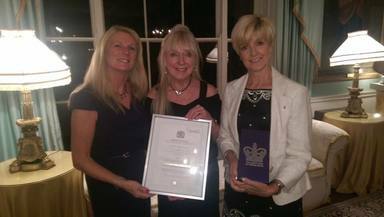 Which means EVERY SINGLE ONE OF YOU who has EVER helped out either back stage , front of house, rehearsals, performance, and been involved over the 25 years we've been putting on our musicals - You can say with pride you have contributed to a Volunteer Group who has received The Queens Award. Our trustees and invited quests who have contributed hours of service over the past 25 years will arrive this evening to receive this wonderful award. 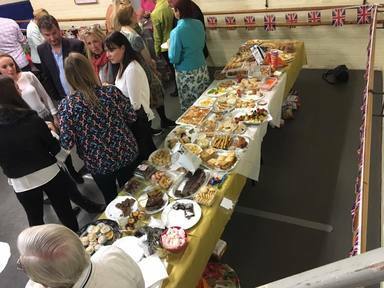 Followed on 1st October at KH by our party for everyone to celebrate. We hope to get some photos for you and will try to post this evening. 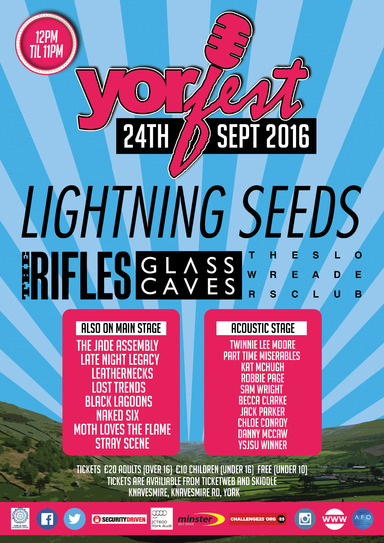 Good luck to former students Alan Murray and Robert Ceely who have organised this event. 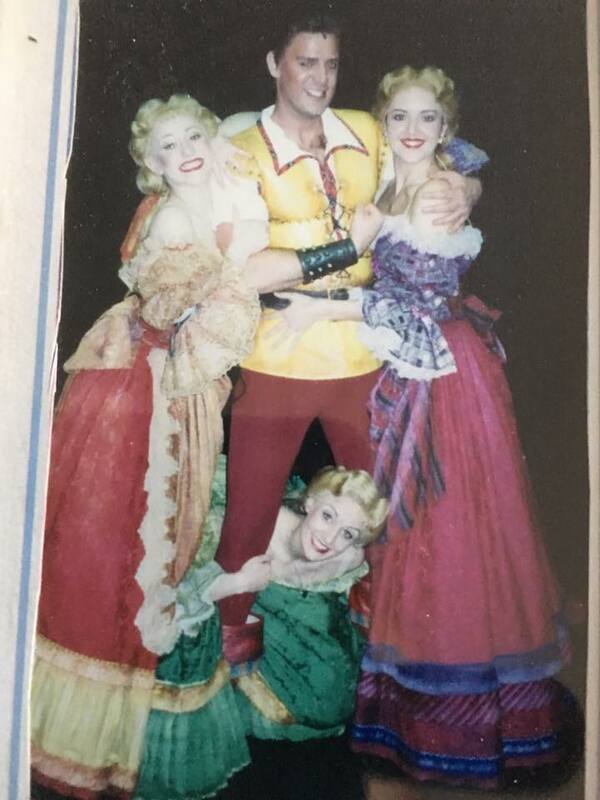 Being faced with knee surgery at the age of fifteen was a huge challenge, especially as I was planning to pursue a career in Performing Arts. It definitely tested my patience and determination, which I am now thankful for because I believe I can deal with any obstacle that comes my way. Two cartilage operations later I went on to train at London Studio Centre and I had three of the best years of my life, which have shaped me into the person I am today. I have Miss Angela to thank for preparing me for the next stage and always believing in me, I would not be where I am today if it wasn’t for her. 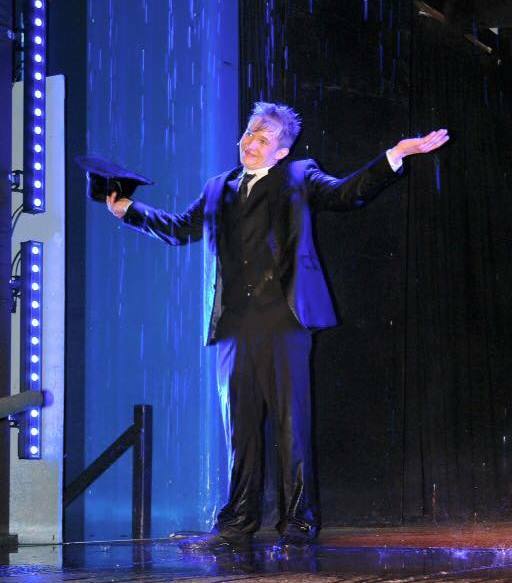 At the end of my training the hard work paid off as I graduated with a First-Class BA Hons degree in Theatre Dance. 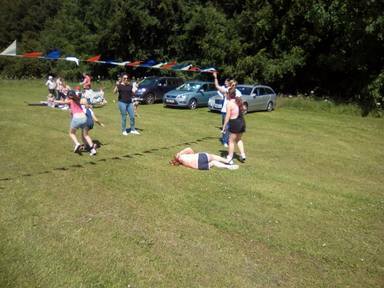 This is also a reflection of the high standard of training I was given at Kirkham Henry, which provided me with strong foundations to build on. 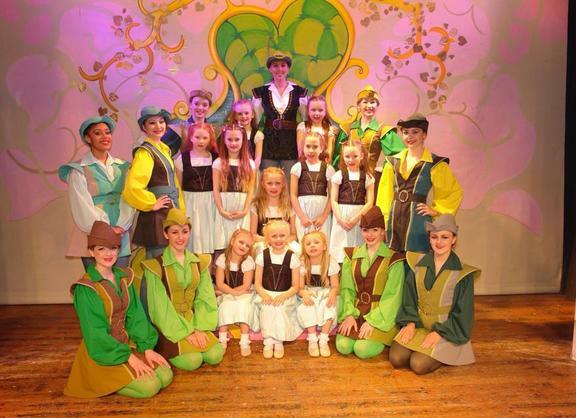 My first professional job was in Jack and the Beanstalk at the Towngate Theatre in Basildon. 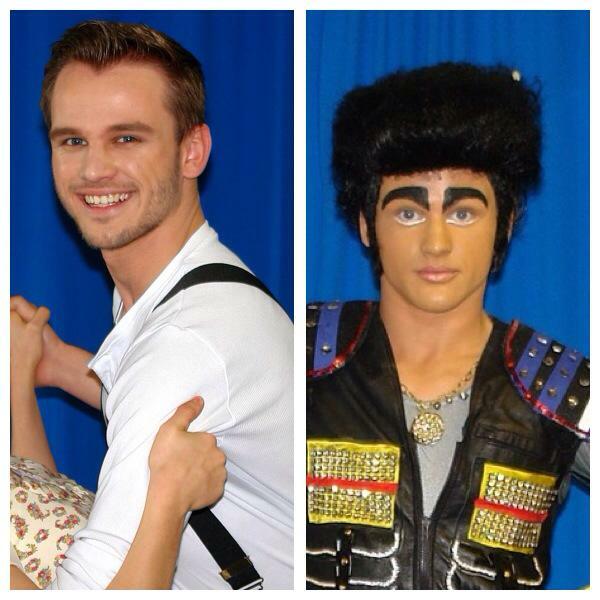 I was so thrilled to be performing in a high energy, fun pantomime and it was a fantastic experience. However shortly after this contract I was faced with my third cartilage operation, which hit me hard as it came out of nowhere seven years later. During my rehabilitation I was in good hands with Andrew Creevy, the Rambert Physio, who kept me positive and reassured me I would make a full recovery and be back performing soon. 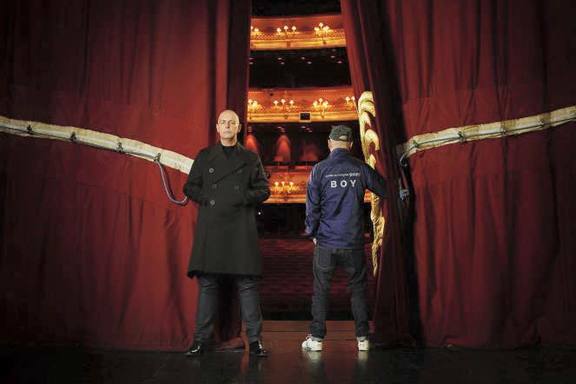 Four months later I am back in the game and I secured a job performing with the Pet Shop Boys at the Royal Opera House on the main stage. This is just what I needed after a difficult year in many aspects, and nothing can compare to that feeling of being back on the stage again. I feel so lucky and thankful to be given the opportunity to perform at such a prestigious venue, for a huge, adoring audience. 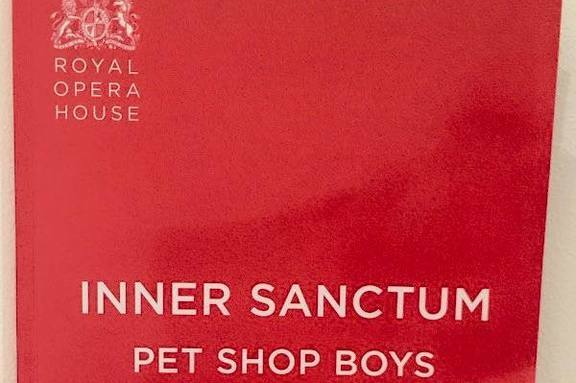 I remember years ago being in awe watching the Royal Ballet Company perform here and I never ever thought that one day I would be dancing on that stage! My parents have been my rock through everything and I am forever grateful for their continued love and support, allowing me to achieve my dreams. Brilliant how you've bounced back Maegan truly inspirational. Family. 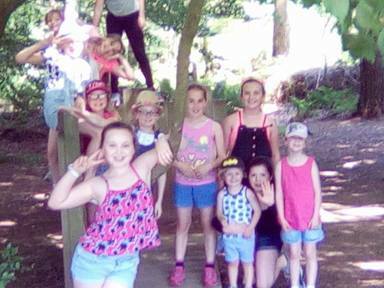 Fun Day...and what a really fun filled day we all had with our family and friends at Dalby Forest. 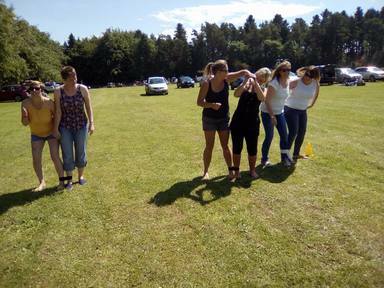 Lots of races for everyone including the parents who couldn't wait to have a go so they could win their stickers ! 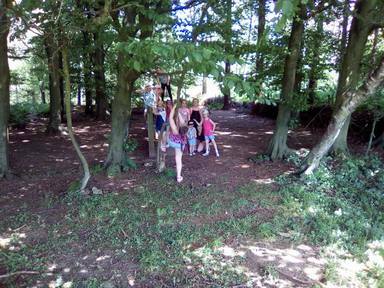 After a lovely relaxing picnic at lunchtime we all joined in together for a competitive game of rounders. Here are just a few photos for you to enjoy.. I am writing this as we come to the end of a 14 year era and sadly have to say goodbye and wish you continuing success at Kirkham Henry - really no doubt about that with your dedication to all the students. 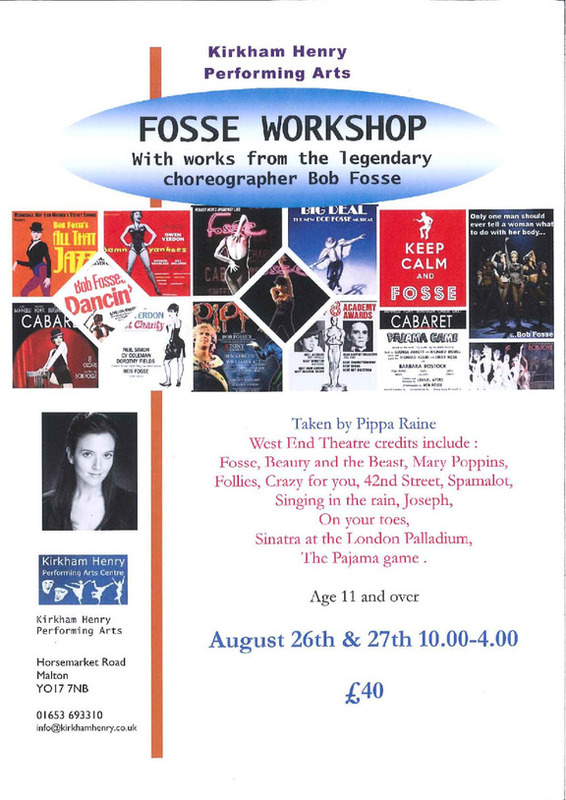 All those years ago when Ollie aged 4 was dancing to background music in a shop and being told to stop by his 7 year old brother Alex for ' being embarrassing' I came home and endeavoured to find a boys dance class. How lucky was I to choose Kirkham Henry to be told he could start tomorrow with Miss Joanne in a boy's ballet class. There was a long waiting list for the girls! We never looked back from that moment, a little wobble when he progressed and became the only boy in a ballet class but that wasn't for long as all of you know he has made so many friends - mainly girls but also boys who I am sure will always remain friends throughout life what ever that brings for them all. 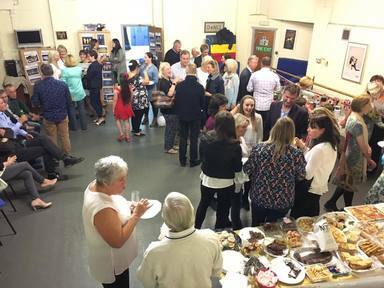 As a family we met wonderful people at KH and also Ryedale Youth Theatre thoroughly enjoying being involved with all aspects for 10 years. 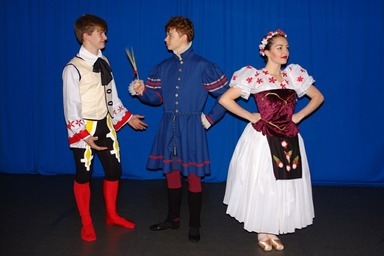 Ollie has developed in so many ways and achieved so much whilst importantly loving every minute, from Ballet which he finished with Distinction in RAD Grade 8 and Distinction in RAD Intermediate vocational ballet. o Tap (which I remember you giving even more extra time for him to play the part of Michael in Billy Elliott and his lead role as Don Lockwood in Singin' in the Rain), Breakdancing, Jazz and Gymnastics with Mr George who gave him the confidence to fulfil his ambition to do back flips which he now does all over the place!! A big thank you must go to Mr Martin who has given so much support and time to help Oliver reach Grade 8 singing ( awaiting results) also Miss Catherine for her continued support and time to finish with Grade 8 LAMDA speech and drama (awaiting results). If this wasn't enough he has also gained distinction in Grade 5 Double Bass which he has studied at school as part of GCSE & A level music and latterly played with The County Music Service Youth Orchestra. He also completed his Gold Duke of Edinburgh Award following a week's music residential at St John's College, Cambridge. Also after teaching himself piano, he began lessons and has his Grade 6 exam next week. 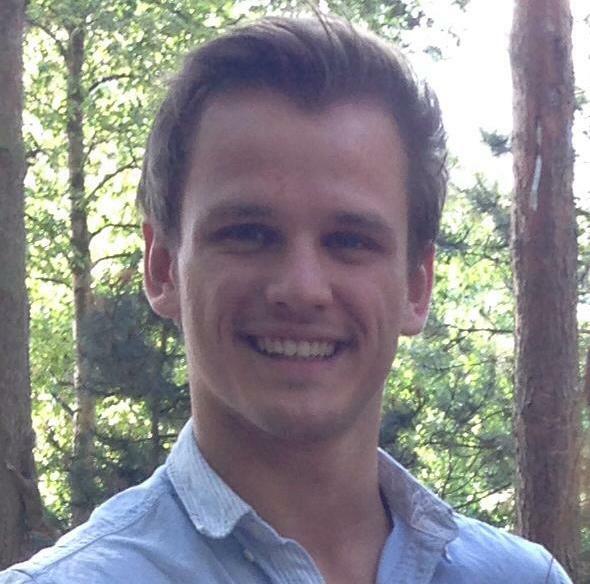 He gained an unconditional place to read music (BMus) at The University of Birmingham for 3 / 4 years with the option after year 2 to spend the 3rd year studying at a University abroad. In the first year he will study History and Analysis, Tonal Harmony and Counterpoint, Instrumental/ Vocal Performance and Composition. Birmingham is one of the few Universities to offer fully funded lessons on two instruments which will be taken at the Birmingham Conservatoire. He plans to continue with Singing and Double Bass. I am sure there will be many other societies to join and that he will continue filling every available minute - exciting times ahead. Again many, many thanks for your inspiration, encouragement and selfless commitment to so many children. Breaking news- Martha Gosnold has just won the Northern School of contemporary dance award for ultimate professionalism. (One of only 6 awards) How wonderful Martha, we're so glad we managed to get to see your graduation showcase on Thursday. Sending our congratulations and best wishes for your MA. In case you missed Martha's successful news story here it is again. Kirkham Henry has been my second home since I was 3 years old. Back then I was a podgy kid who barely passed her dance exams and was constantly put in the cabbage patch by Miss Joanne (Sorry Miss J! ), but over the years I’ve worked and worked and worked, always aspiring to be just like the big girls. I’ve lived and breathed all aspects of Performing Arts from a young age and I’m so lucky that I have the chance to carry on my training in September at Urdang Academy on their 3-year degree course in Professional Dance and Musical Theatre. 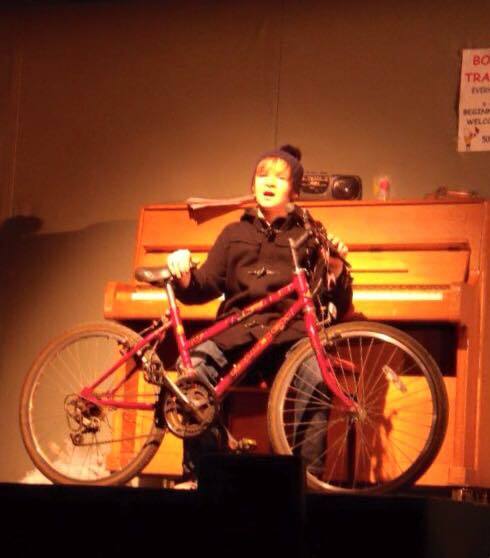 Since December I have been auditioning at Musical Theatre Colleges in and around London. The audition process is very daunting and intense, but you get to realise how amazing KH’s training is. Auditioning is an amazing experience and opportunity to meet new people and see the standard of other performers around, not only the country, but the world too; its wonderful to be around so many likeminded people, all passionate about the same thing. I was very lucky to have been given places at 5 places I auditioned for, especially with Performers College Principle offering me a place on the day and Urdang Academy’s Principle ringing me 3 days after my audition offering me a place on their degree course with a Fee Reduction Award. 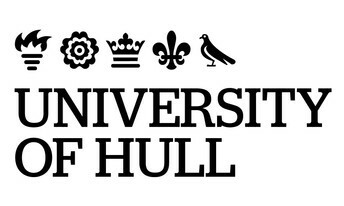 It was a very difficult choice but after taking into account the standard of the schools, the funding situations and the atmospheres I received, I made my decision and I am so excited! I will miss Kirkham Henry so much but with their amazing support and training over the years I feel I am ready to start this new adventure- bring on September! :)"
For those of you who missed it, here's Beth's Modern dance solo at her recent final dance festival. We wish you all the best for your future Beth. 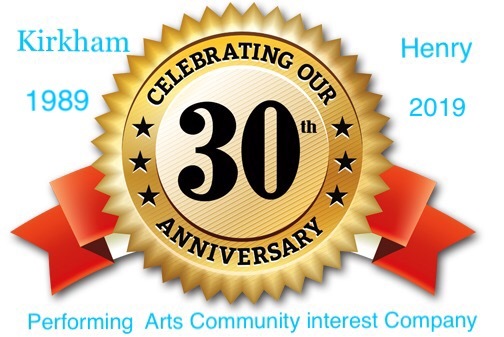 "After dancing at Kirkham Henry for many years and receiving amazing teaching I have been lucky enough to have received places on full time performing arts courses at dance colleges in London. After being offered a place at Urdang Academy, London Studio Centre and gaining a place on the reserve list for the BA Hons course at Bird College, I have happily decided to accept my place at London Studio Centre (although the decision was a very difficult one!) LSC has been my dream school from the beginning, it's so friendly with amazing teachers and graduates in careers I aspire to. At LSC I will take classes in various dance style such as ballet, jazz, tap, hip hop and contemporary, I also have lessons in singing and acting as well as body conditioning and stretching classes. 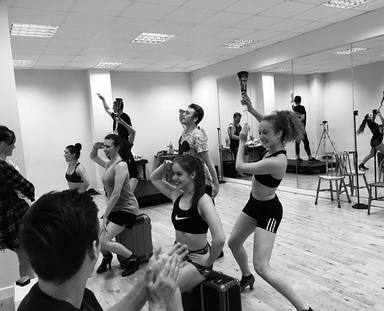 After training at LSC I would love to pursue a career in performing in dance/musicals or on cruise ships, although I would also love to teach dance. I'm so excited to begin this training although it will be extremely hard to leave behind all my amazing friends at Kirkham Henry, however I will definitely come back to visit as much as I can! I'd like to thank all the teachers for helping me get so far and making my dream possible." 'I cannot believe the time has finally come to say goodbye to Kirkham Henry. I will always be grateful for the inspiring teaching I have received and the support I have been given. Performing with RYT has built my confidence and determination to pursue this as a career. I will treasure my experiences and the special friendships I've made. One of my favourite moments has to be April fooling Miss Angela into thinking I'd 'injured' my ankle during an Evita rehearsal! (Miss Ali's idea). 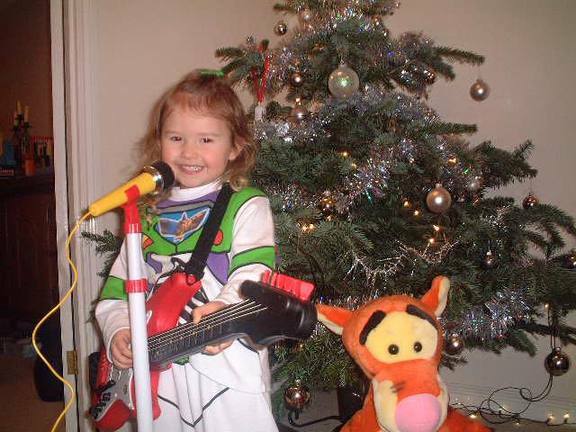 I have had a strong passion for performing from a very young age, not just in musical theatre but also in serious acting. I have been very fortunate to have gained a place at Arts Educational School in London on their BA (Hons) 3 year Acting course, which I will start this September. I will be training in theatre, film, television and radio and am looking forward to learning a huge variety of new skills. Moving down to London is a massive step but I am so excited in anticipation of my new adventure. Katy Clarke here with some exciting news... So I've danced at Kirkham Henry for longer than I can remember and it has taught me so much but in September this year, I will be moving on to a full time dance school. 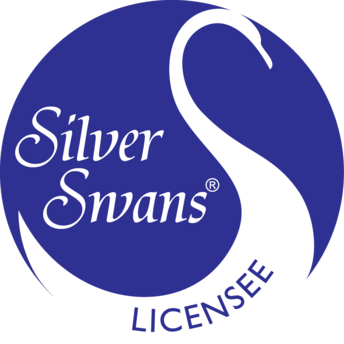 I was offered and have happily accepted a place on the nbs diploma in professional dance Course at Northern Ballet School with a full scholarship. I will be in Manchester for 3 years and will be moving in to a flat come September. I am unbelievably excited and think it is an incredible opportunity, which I hope will lead to a dance career, in a company or on cruise ships or any dance related job would be amazing! At Northern Ballet School we will study all types of dance in the first year, alongside singing and drama, and then have to choose a focus for the last two years with performance opportunities. It sounds amazing and although I will miss my KH family so much, I can't wait for these next few years. 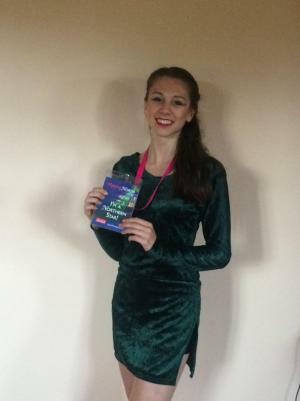 Katy also won the Classical trophy at the recent Northern Stage dance festival and also danced in the final of Moving North at The Lowry Manchester performing her own choreography in front of famous dance adjudicators. We wish you all the best Katy for your future. 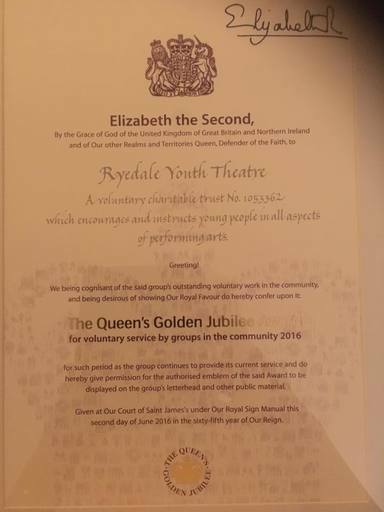 We are enormously proud and overwhelmed to announce Ryedale Youth Theatre has been awarded the Queens Award for voluntary service. 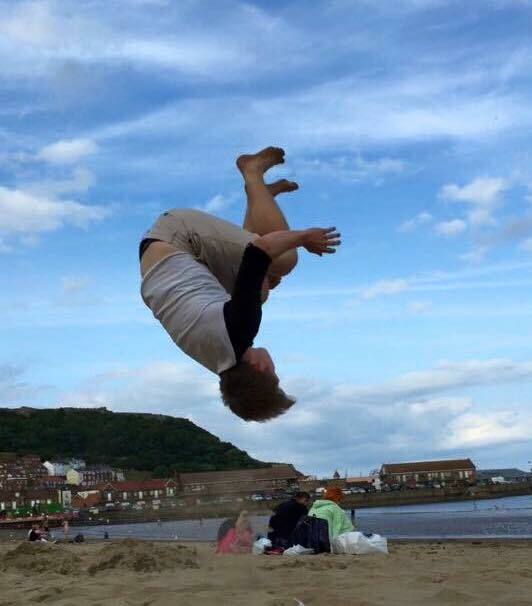 The charities are Ryedale Carers Service, Scarborough Maritime Heritage Centre and The Ryedale Youth Theatre. 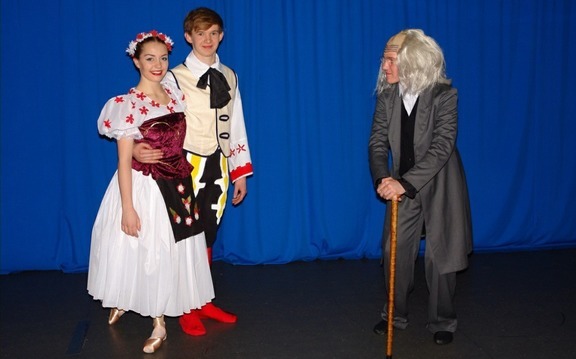 Ryedale Youth Theatre encourages and instructs young people aged 8-18 in all aspects of the performing arts. Over 80 volunteers are involved filling roles such as director, choreographer, chaperone, wardrobe, carpenters, electricians etc. The rapport between teachers and members and parents alike produces a feeling of a family enterprise. 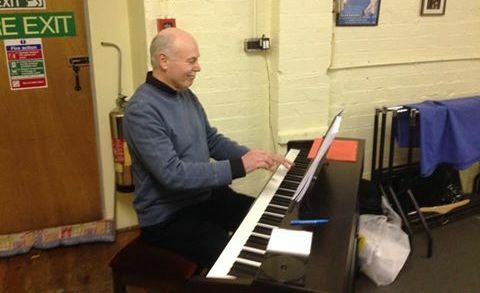 Rehearsals and performances provide a happy, friendly, disciplined and focused atmosphere, allowing the members to flourish and it is a pleasure to witness the enjoyment that RYT members have whilst working together as a team in harmony. 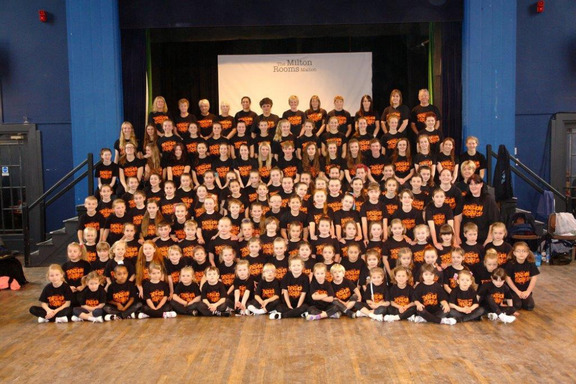 From a modest start the group has grown to become one of the most well respected Youth Theatre's in the country. Ryedale Carers Support is a local voluntary organisation and registered charity that provides practical and emotional help for carers, the people they care for and older people living on their own. The service is provided by over 100 volunteers who visit weekly, fortnightly or monthly depending on the needs of each individual. The Scarborough Maritime Heritage Centre was started, and is still run, by a dynamic group of volunteers from the local community who work hard to preserve the town’s history, educating residents and visitors. Volunteers range from 20 to 80 years old, from all walks of life. They work together in cross-generational projects to strengthen community ties and build pride in the town. 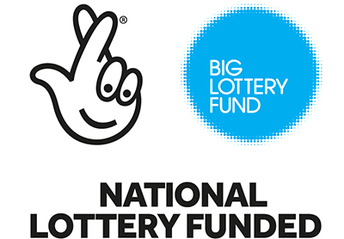 Based in a deprived area, they welcome volunteers who need support to improve their skills and confidence, tackling social isolation and loneliness. 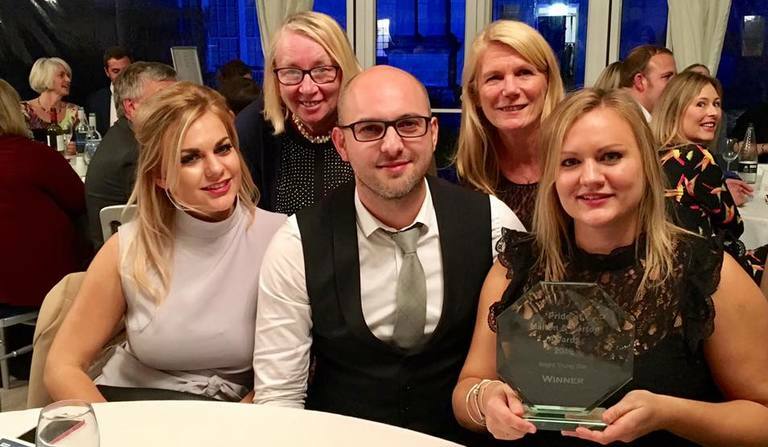 The work of the three groups in the community has now been honoured and recognised with the Queen’s Award for Voluntary Service, the highest national award a voluntary group can receive in the UK. 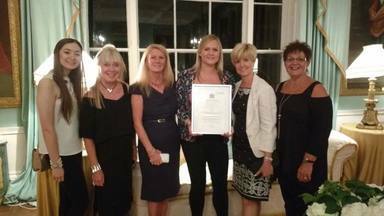 Representatives from the groups attended a garden party at Buckingham Palace last month where they met the Queen and other winners of this year’s award; some will also be attending the Queen’s lunch party in the Mall in London on Sunday 12th June. The groups will receive the award from the Lord-Lieutenant of North Yorkshire, Mr Barry Dodd CBE, later this summer. “I am thrilled that these three groups have been recognised; this is the highest number of QAVS won by North Yorkshire since the award was instituted in 2002 and I look forward to meeting the groups personally. I encourage people to nominate other worthy groups from our County for this award. 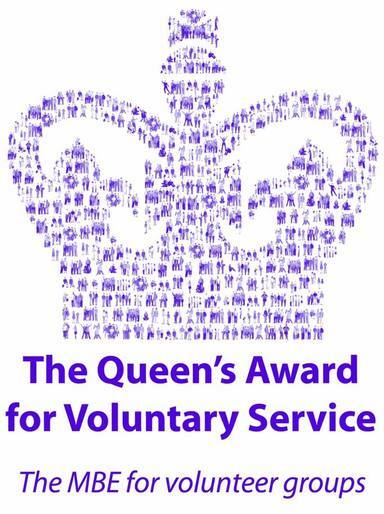 “I would like to congratulate all groups who received this year’s Queen’s Award for Voluntary Service, in recognition of their fantastic achievements. The huge amount of work and commitment these organisations put into their local communities is surpassed only by the passion and motivation of the individuals who volunteer. I hope these groups continue to inspire others to get involved and make a positive impact so that we can continue to build a more compassionate society. 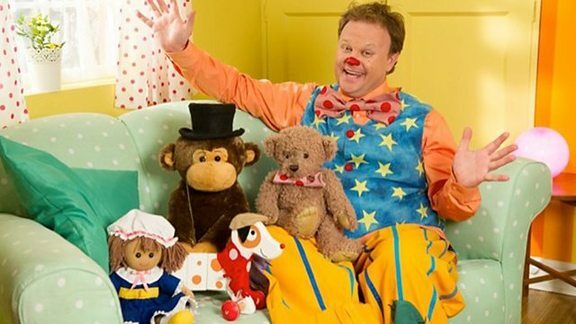 Mr Tumble is back with the 10th series of Something Special! 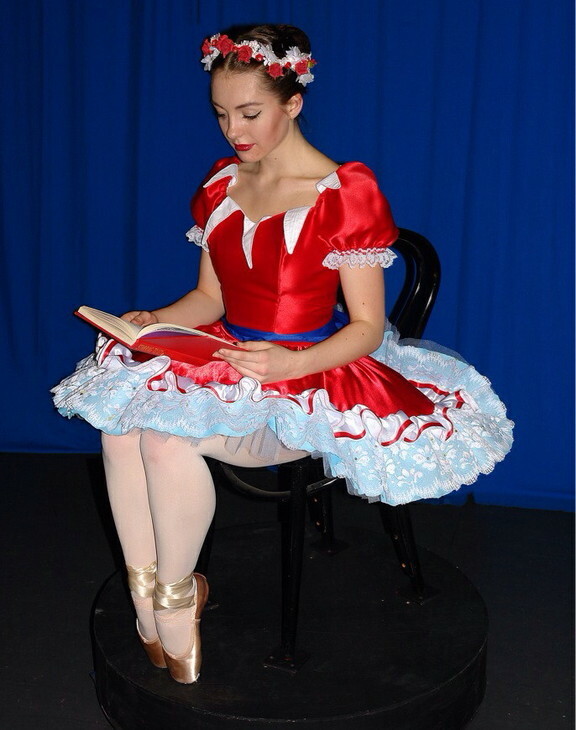 Don't miss this demonstration of classwork including excerpts from Coppelia and Evita. Wonderful news - former pupils Laurie Scarth and Scott Garnham are running a senior musical theatre Summer School week beginning 24th August. Don't miss this amazing opportunity to work with Laurie and Scott who are truly top of the game. More info ASAP. Keep checking the notice board or KH Facebook. Check out this Youtube clip of Laurie and Scott in a rare performance together. 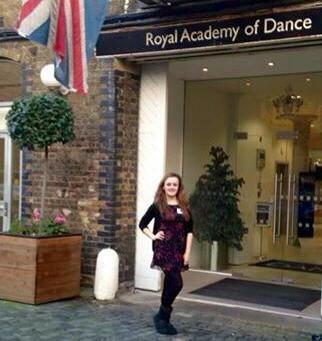 HEAD GIRL SOPHIE FOR ROYAL ACADEMY OF DANCE! Fabulous Fantastic breaking news. 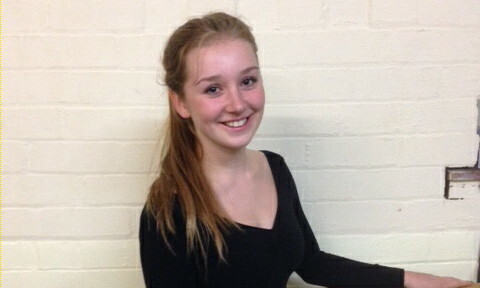 Head Girl Sophie Roger has accepted a place at The Royal Academy of Dance London. 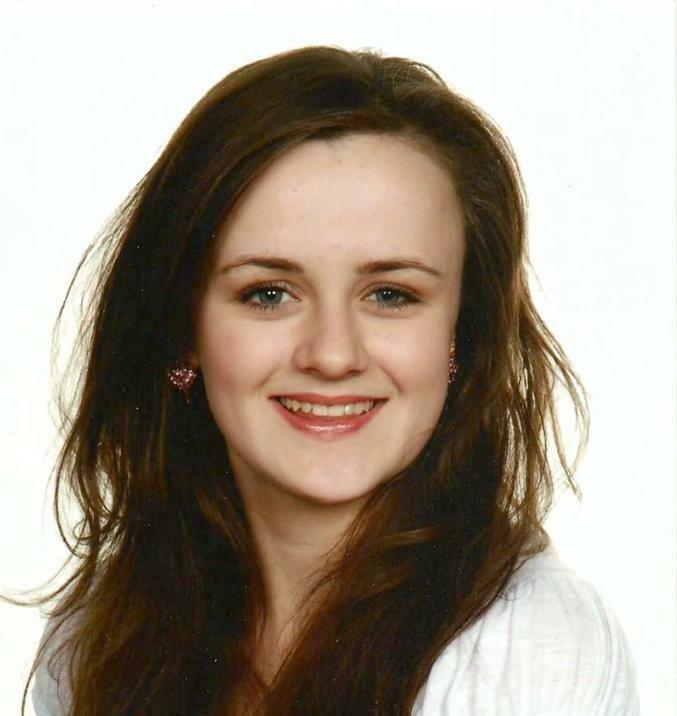 Out of thousands of applicants Sophie was offered a place and has taken the offer up. Congratulations and well done from all at KH. 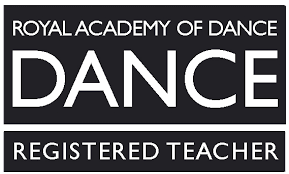 I'm delighted to let everyone know that I've been offered a place on the BA (Hons) Ballet Education (BABE) course at The Royal Academy of Dance (RAD) in London. This 3 year course will give me the opportunity to gain a degree and prepare me for a career in teaching dance. Kirkham Henry has given me the chance to teach alongside Miss Catherine in three RAD classes for the past 4 years. Which has made me realise how much I love teaching children. Studying at the prestigious RAD will give me the chance to gain the degree and then the opportunity to teach all over the world to all ages! 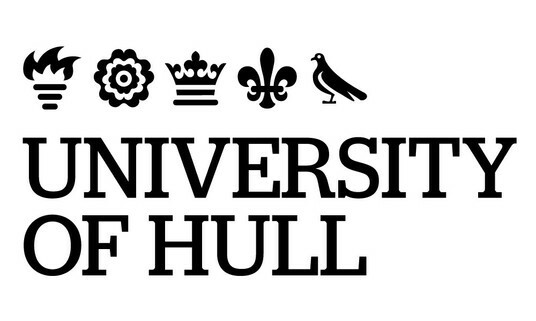 I'm am very grateful for all the support, guidance and opportunities I have been given by everyone at KH and am very excited to embark on the next stage in my life! LONDON DRAMA CENTRE FOR DOM! 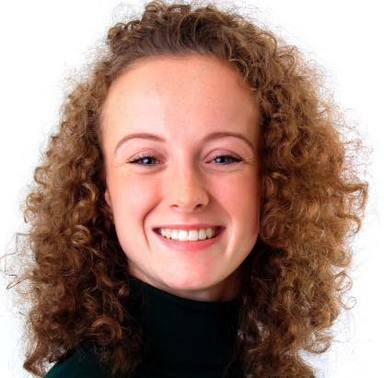 Our first successful news of our performing arts graduates is the amazing Dom Weatherill who has gained a place on the BAHons Acting course at The Drama Centre London. Dom will still study dance including Ballet along side all activities below. Special thanks to Miss Audrie for her intensive audition prep classes. 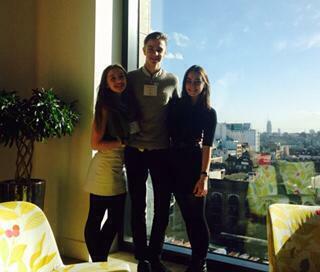 Intensive career focus, including a well-attended Agents' Showcase event and a mentoring scheme. Colin Firth is amongst ex students and many more famous actors. We wish you all the best Dom you so deserve it. 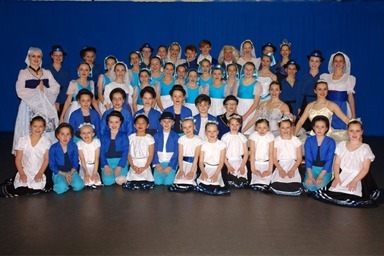 Congratulations everyone for the great success at The Leeds Stage dance festival. 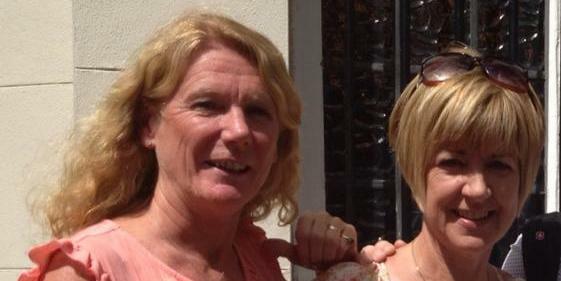 Our Mums of the Juniors wish to thank the seniors for all their help and encouragement. We received 9 -1st, 14 -2nd, 8 - 3rd, 11 -4 th. 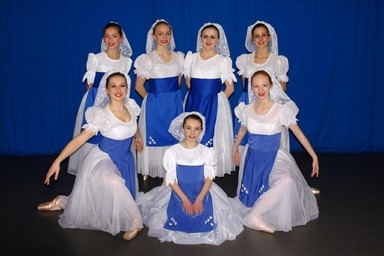 We're thrilled to announce that we raised £3,014 for Friends of Kirkham Henry, with Ryedale Youth Ballets' Coppelia. This will be going towards our visitor/ accessible toilet. To everyone who helped in anyway, either by donating raffle prizes, selling the refreshments, chaperones costumes, behind scenes, our audience, to the teachers who all gave their time. A huge well done. 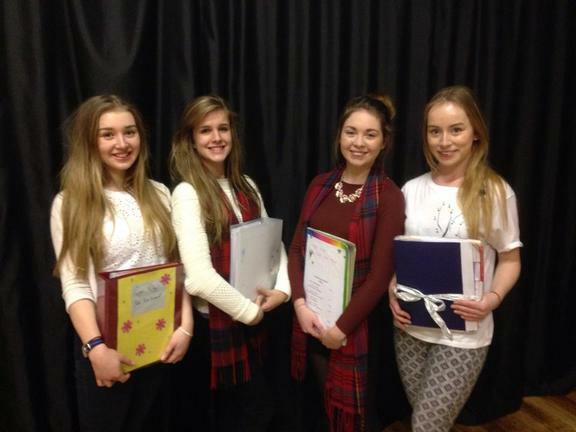 Rosie, Hannah G, Emily H, and Charlotte pass their Silver Arts Award. Arts Award inspires young people to grow their arts and leadership talents: it's creative, valuable and accessible. Thank you Miss Barbara. Well done everyone for our first RYT singing rehearsal for Evita. 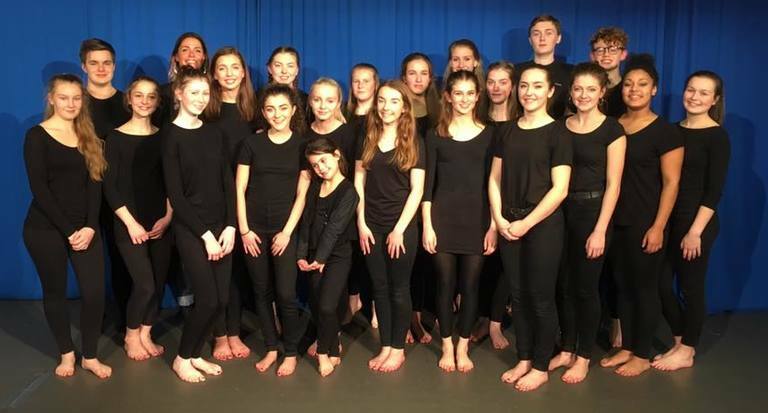 WORLD RECORD ATTEMPT TAPATHON FOR "BBC CHILDREN IN NEED"
We are extrememly proud to announce that Ryedale Youth Theatre has received The Duke of York Community initative award. Miss Barbara received the certificate from His Royal Highness The Duke of York on Thursday 16th for excellent work in the community. 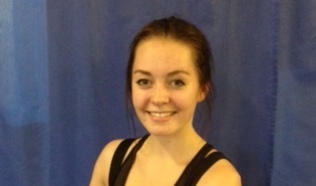 Congratulations to Beth Armstrong for becoming a Youth Dance England National Youth Dance Ambassador. 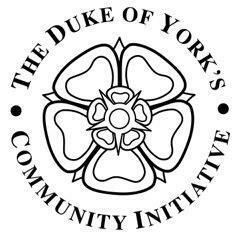 We are delighted to announce that Ryedale Youth Theatre has gained a Duke of York Initiative Award for it's public spiritedness, dedication to the community and inspiration to others. 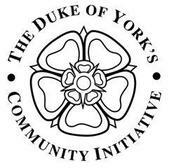 The award certificates will be presented by HRH the Duke of York at a ceremony in Rotherham on 16 October. 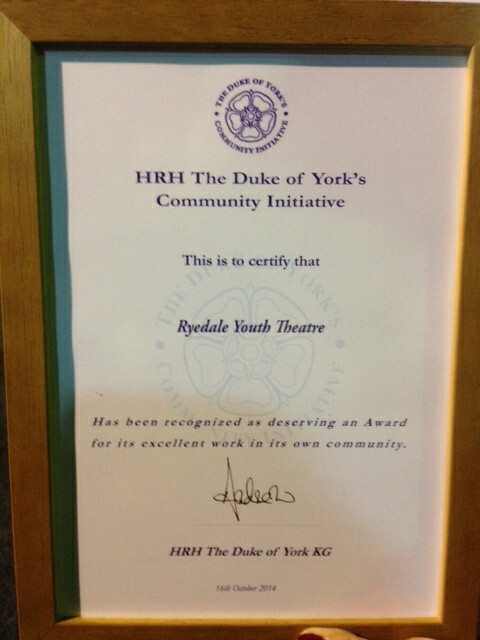 Well done to everyone involved in Ryedale Youth Theatre for their team work and dedication. Also, news has just been received that Miss Angela has been nominated for the Henry Woods Outstanding Leadership Award. Only one award is made each year and the winner will be announced and the award presented by the Duke of York at the same ceremony. LOUISE BROWNE AWARD FOR LIV! We've even more wonderful news. 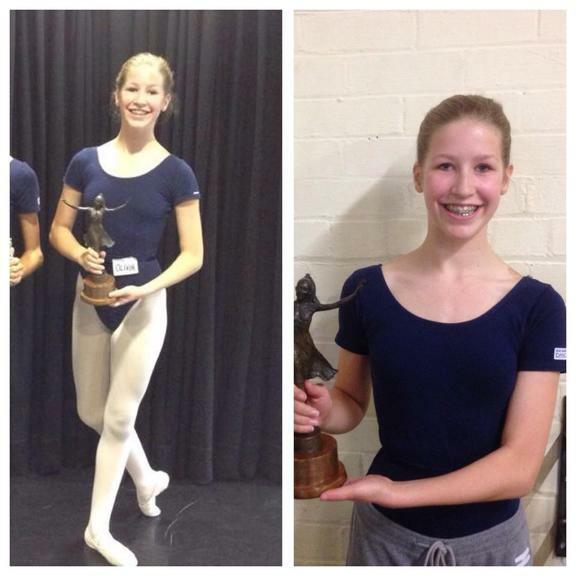 Olivia Roberts has been awarded the Louise Browne award at the Yorkshire Ballet Scholarship centre. The award was received for constant striving to improve, hardwork, dedication and total commitment to classes. After weeks of keeping the secret! 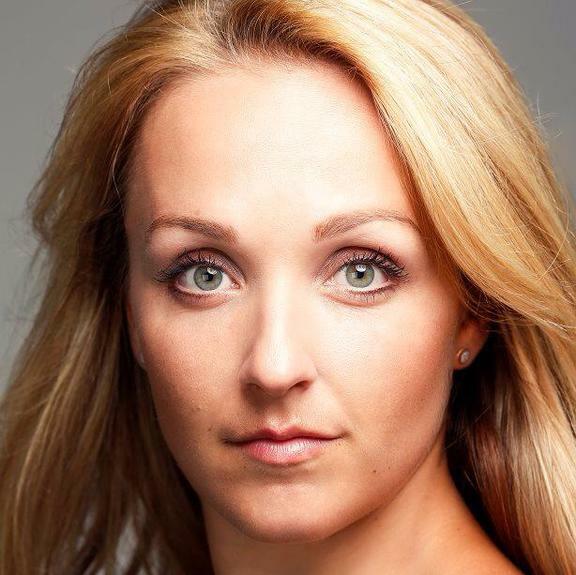 we can now officially announce the grrrrreat news that former pupil Laurie Scarth will be performing in Cats, which is making it's West End revival for the 25th year anniversary of the show at the London Palladium. Well done Laurie we are all so prrrrrroud of you. 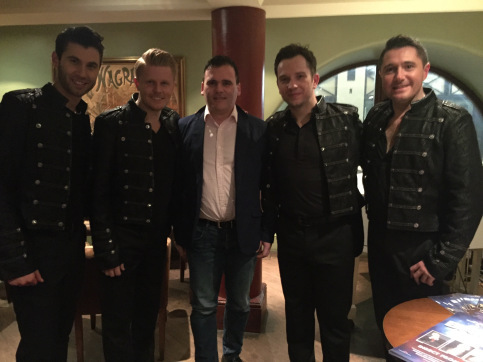 "We had a wonderful evening...the production was amazing!" SCOTT BACK IN THE WEST END! Fantastic fabulous news we can now tell the world. 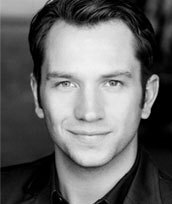 Yes it's official, Scott Garnham will be part of the original cast of a new musical ' Made in Dagenham' Opening in October at The Adelphi Theatre in London's west-End. Scott we are all soooooooo proud of you! 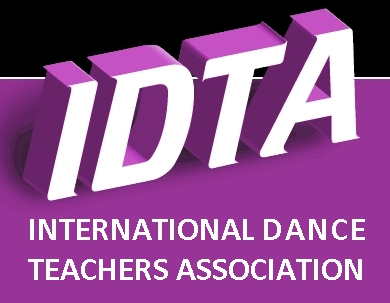 MILLIE & HERMIONE RECOMMENDED FOR IDTA SCHOLARSHIP! Believe it or not we have even more fabulous news. 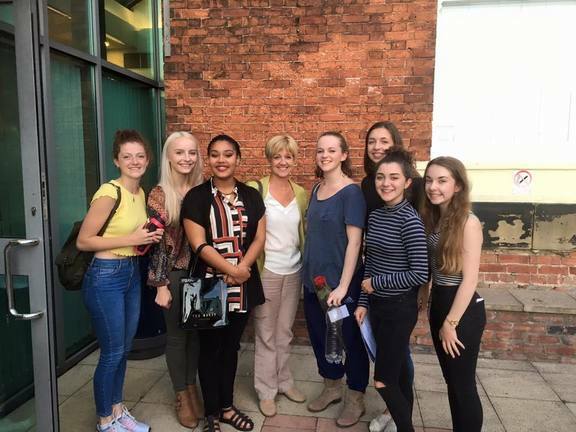 We now congratulate Millie Jones and Hermione Collier-Hield for being recommended for an International Dance Teachers Association Ballet Scholarship award. Both girls are amongst 500 young people throughout the UK to be recommended from throughout the 7,500 eligible theatre branches! 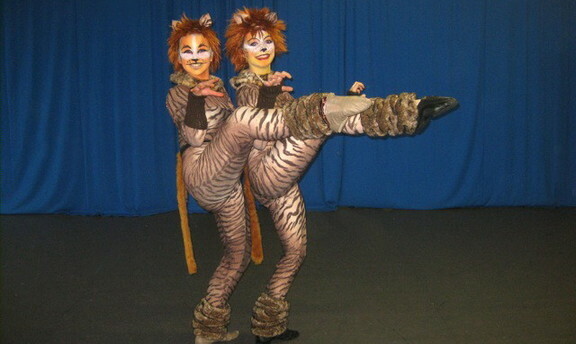 Millie and Hermione have also received Yorkshire Ballet scholarships. Well done girls we are all very proud. 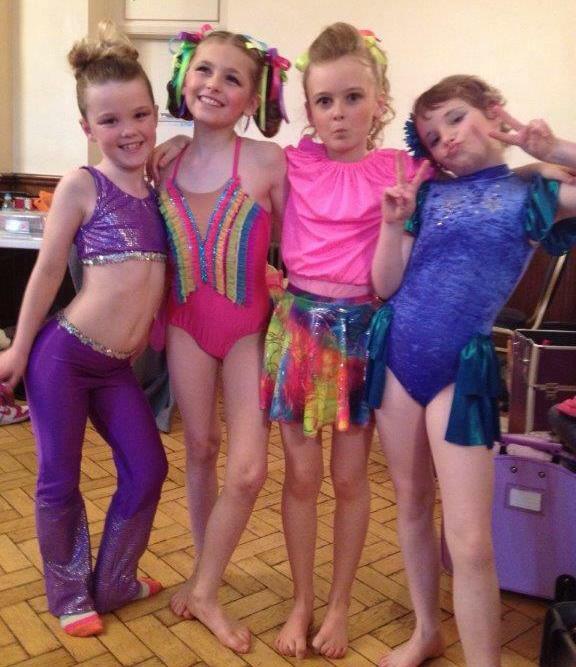 Photo of Hermione in red and Millie in blue shows them in their classical duet costume. OUR SUCCESSFUL NEWS KEEPS COMING! 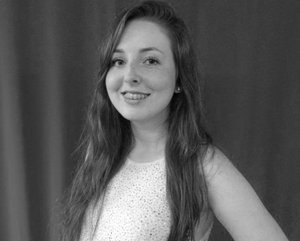 We're thrilled to announce Harrietanne Coughlin has accepted a place at Greenwich University on BA Hons Drama/ Theatre course. This brilliant news couldn't come soon enough for Harrietanne. Leo Rowell has been given a place at Trinity Laban London to study Musical Theatre. 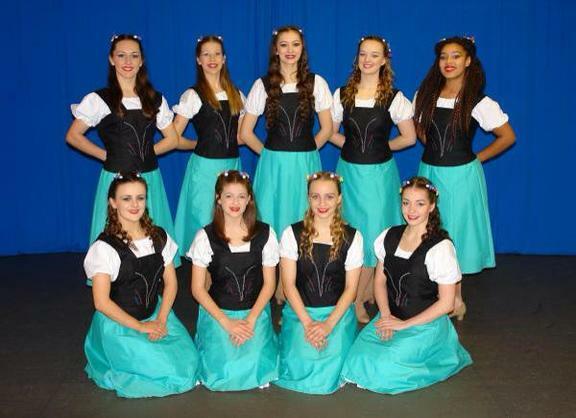 Caitlin Walker and Molly Bentley have gained a place with Phoenix youth Dance Theatre. 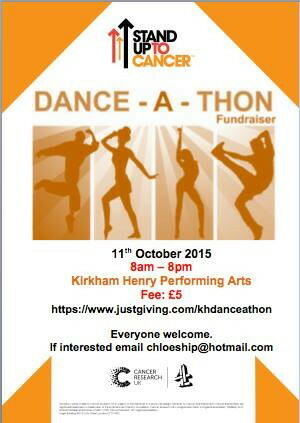 Well done from all here at Kirkham Henry. Brilliant news to hear former pupil Ryan Goscinski will be part of the new cast of Phantom of the Opera London's West End. After Kirkham Henry, Ryan trained at the Royal Ballet School and then Central School of ballet achieving a 2:1 BA Hons in Professional Dance and Performance. He then Joined the Estonian National Ballet Company for one year, returning in July 2011. 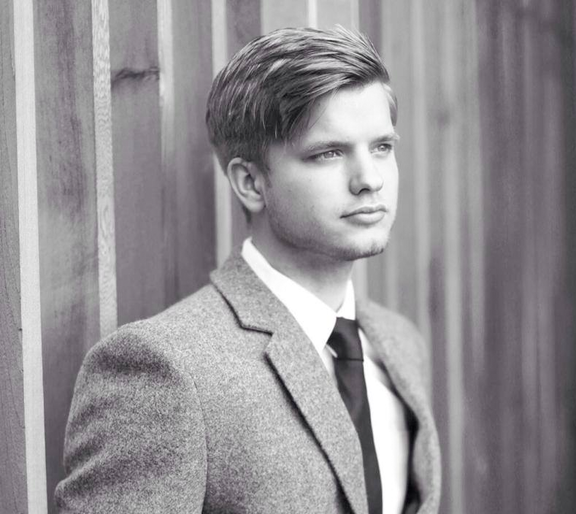 Since returning to London, Ryan has featured in many adverts and as backup dancer for Beyonce for ITV plus so much more! Well done Ryan wonderful news from all at Kirkham Henry.